The Devon Historic Market and Coastal Towns Survey was carried out between 2012 and 2016. It forms part of the Extensive Urban Survey (EUS), a series of county-by-county surveys of the smaller towns of England, carried out by local authority historic environment services and funded by Historic England and its predecessor, English Heritage. 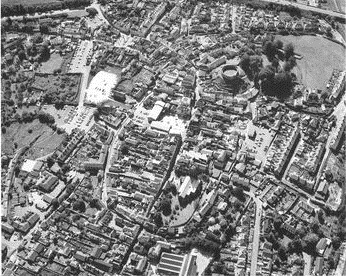 The survey’s aim was to analyse and map the historic development of a selection of Devon’s coastal and market towns, making the results available in order to: influence local planning policy; inform urban historic land and buildings management and interpretation; encourage the integration of urban historic characterisation into the wider process of managing the urban environment; guide archaeological and historical research.